We all love decorating with pumpkins during this time of year. But do you put thought into what you can do with the leftover pumpkins when you’re done? I started a new hobby this year: grilling and smoking. I have been using my gas grill at home to grill and smoke different meats, vegetables, and basically anything I can get my hands on. So when I came across this recipe for Smoked Pumpkin Pie, I had to try it out. This pie has a smoky flavor so it works best with a sweet topping like whipped cream or ice cream. Spoiler alert: It was really good! 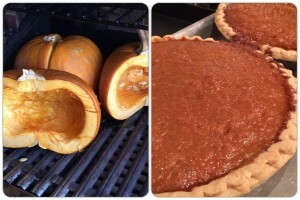 Keep reading to learn how to make a smoked pumpkin pie. One of these pumpkins will make about 2 pies. I didn’t know this at the time, so I smoked two just to be safe. 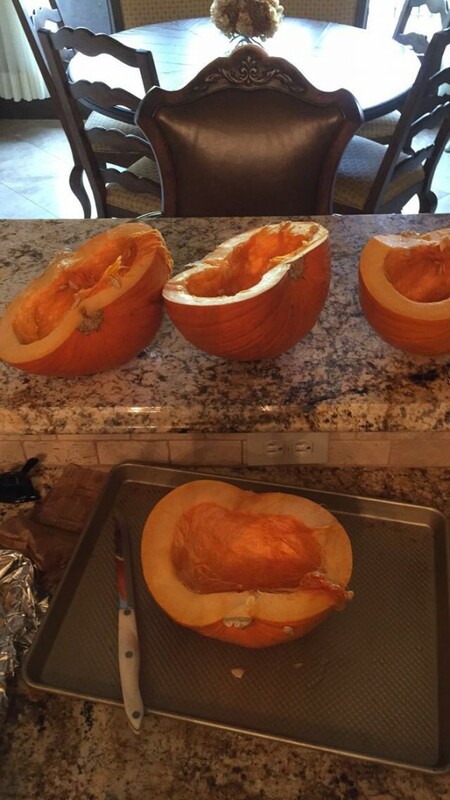 Cut pumpkins in half, top to bottom. Scoop out the insides. If you’d like to cook the seeds, check out our pumpkin seed recipes here. Prepare smoker for a two hour smoke at a temperature around 250 degrees F. If using a charcoal grill, build the fire to one side for indirect grilling. Adjust vents to maintain a temperature around 250 degrees F. (120 degrees C.). 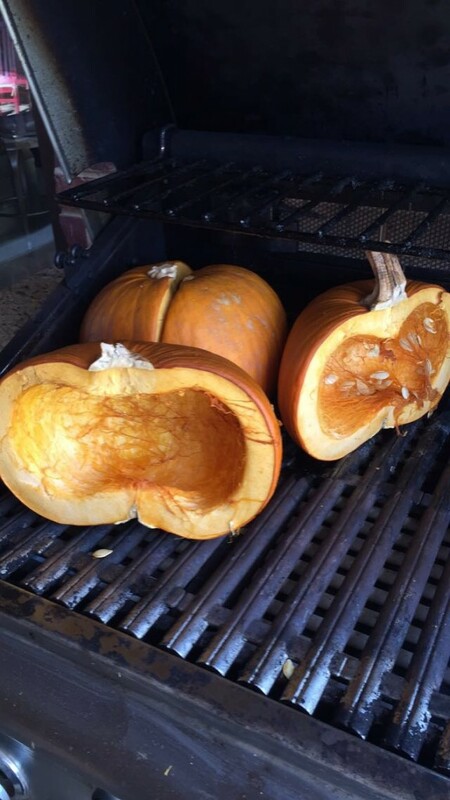 Place pumpkin halves on smoker or charcoal grill (away from the fire) and add wood chunks to the fire. This process will smoke the pumpkins as they cook and take 1 to 2 hours depending on the size of the pumpkins. Add additional smoking wood as needed. 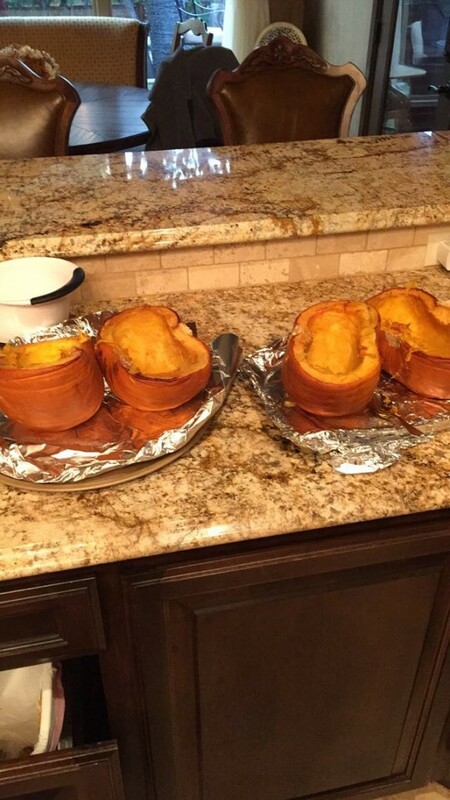 Once finished (the flesh of the pumpkin will be tender and they will start to collapse down), remove from smoker or grill and allow to cool. 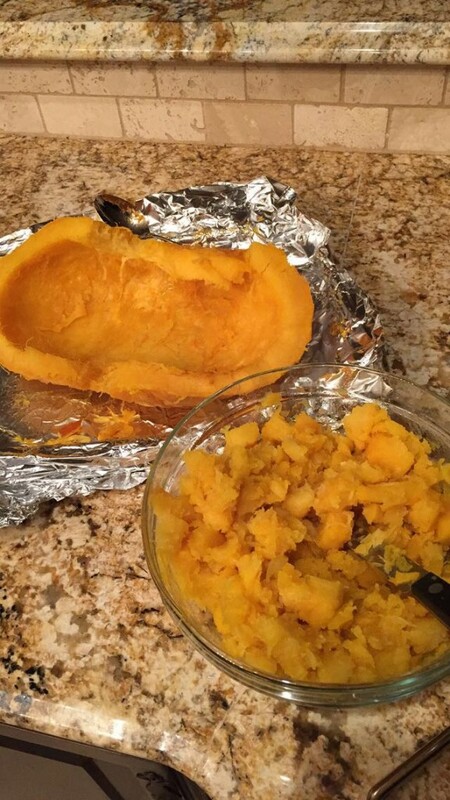 Pumpkins can be transferred to the oven to finish cooking if you want to limit the smokiness. Remove seeds and insides if you haven’t already, peel away skin and coarse chop the remaining flesh. 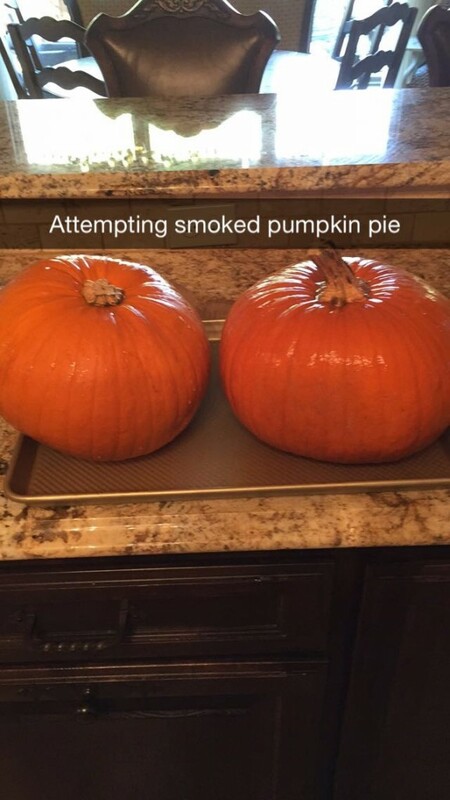 The pumpkin should have a strong smoky smell. You only need 2 1/4 cups of the smoked pumpkin puree to make one pumpkin pie. 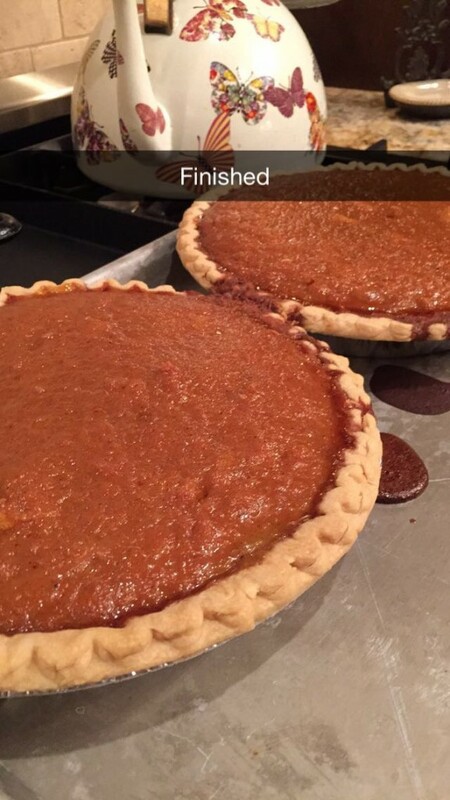 However, I had so much, I doubled the recipes and made two pumpkin pies. 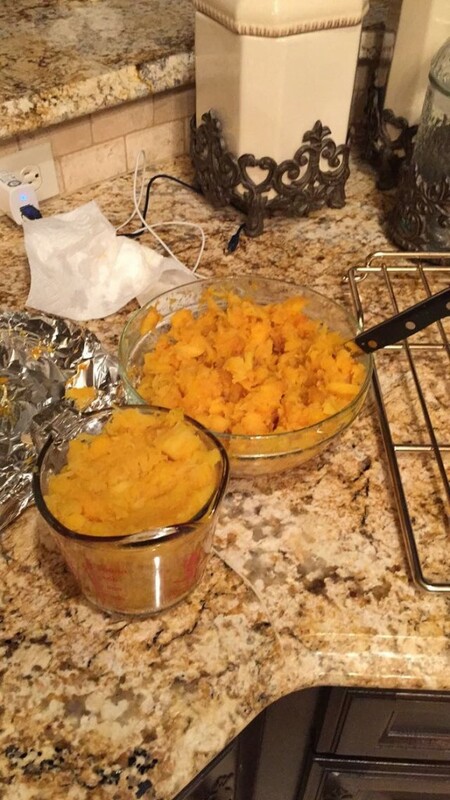 Feel free to do the same, or you can save the remaining smoked pumpkin puree for other recipes like soups or sauces. 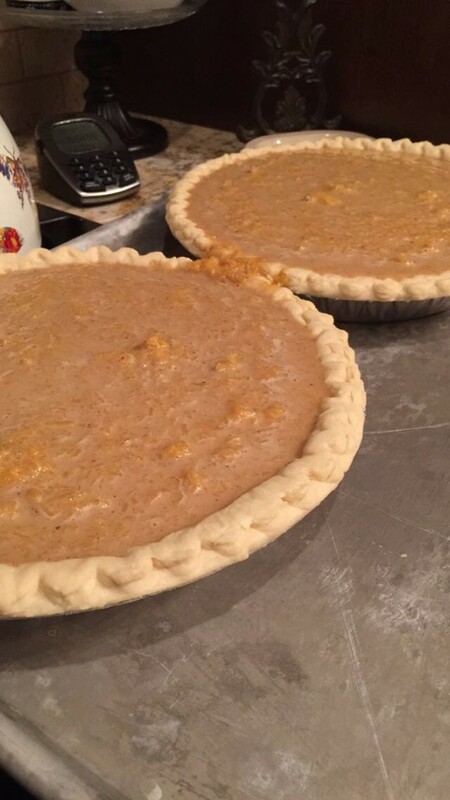 Once the smoked pumpkin puree is ready, start preheating the oven to 350 degrees F. Thaw pie crusts and using a fork, prick center of crusts in 5-6 different spots. Place on a cookie sheet and bake for ten minutes. 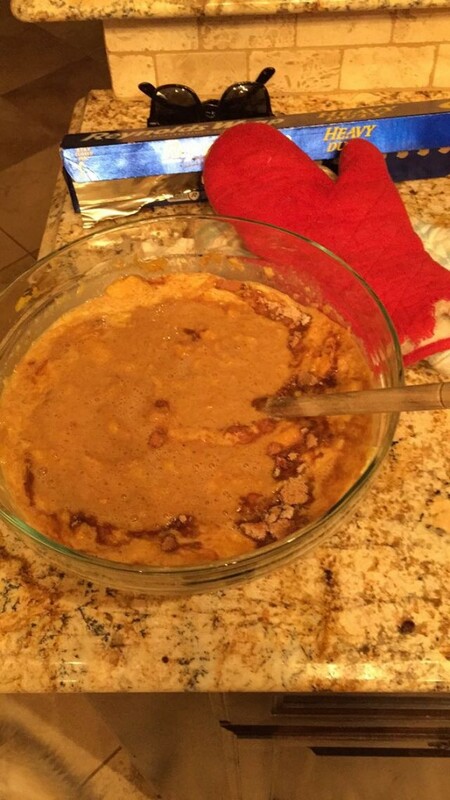 While the pie is prepping for ten minutes in the oven, start combining the ingredients in a large mixing bowl. 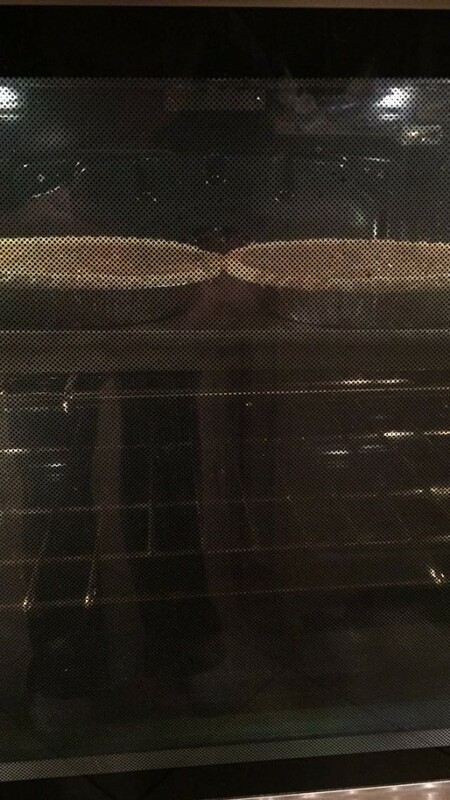 After ten minutes, remove crusts from oven and pour in filling. Do not overfill. Reduce heat to 325 degrees F and bake pie for 50-60 minutes. Remove from heat and allow to cool. Serve with whipped cream or vanilla bean ice cream. Now’s a good time to let you know that QuiBids offers smokers, Wood chips, and more! Click HERE to browse smokers in the QuiBids Store. Would you like to try this recipe for yourself? Let us know in the comments!